GRADnet Introduction to Data Intensive Science Workshop 18-20 September 2017 – Registration now open. Who: All DISCnet CDT students. Any GRADnet PhD student with an interest in data intensive science techniques. What: A 3-day workshop that introduces the CDT and data intensive science and will comprise lectures, tutorials, and examples of the benefits of data intensive science techniques as applied to current research projects and induction into the DISCnet Centre for Doctoral Training: What is DISCnet? What kind of training is offered? What industry placements are available? This session gives an overview of the centre and provides information on how you can get involved. Lunch and networking reception on 18th September: This is a great networking opportunity. DISCnet students, GRADnet students, supervisory teams, and the DISCnet coordinators will get to know each other in an informal setting. The Data Intensive Science Centre in SEPnet (DISCnet) is a new STFC-funded Centre for Doctoral Training. ANOTHER SUCCESSFUL GRADNET SUMMER SCHOOL AT NPL!!! 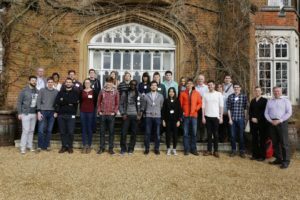 The fourth GRADnet Summer school took place on 3-6 July 2017 at the National Physical Laboratory in Teddington, Middlesex. 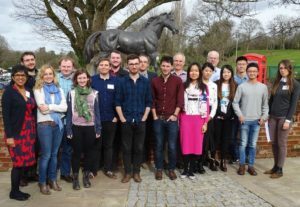 The school comprised a broad menu of workshops and challenges led by different employers designed to offer students an insight into opportunities beyond their PhD. 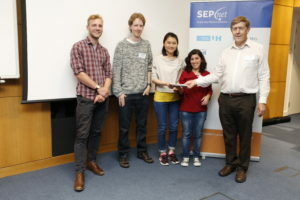 A consultancy challenge took place on the last day and students worked in teams to create solutions using the skills they have learnt in their PhD. AN EMPLOYER-LED PROGRAMME: Defence Science and Technology Laboratory, Fourth State Medicine; IBM; Magnox; National Physical Laboratory; Oxford Instruments; RBA Acoustics; Things We Don’t Know; Surrey Satellite Technology Limited and WP Thompson. SPEAKERS: Dr Paul Stevenson, Reader, University of Surrey; Jane Burston, Head of Climate and Environment, NPL and Dr Michael de Podesta, Principal Research Scientist, NPL. Thank you to NPL staff in particular Richard Burguete and Gill Coggins from the Postgraduate Institute, Dr Julie Reeves, University of Southampton, Dr Laura Christie, Royal Holloway, University of London and Kay Pearson, SEPnet Employer Liaison Officer, University of Surrey and last but not least, Cristobel Soares-Smith, GRADnet Network Administrator for making this such a successful event! The most valuable thing they would take away from this year’s summer school was “knowledge and the value of careers outside the PhD. The number of interesting fields is limitless”. 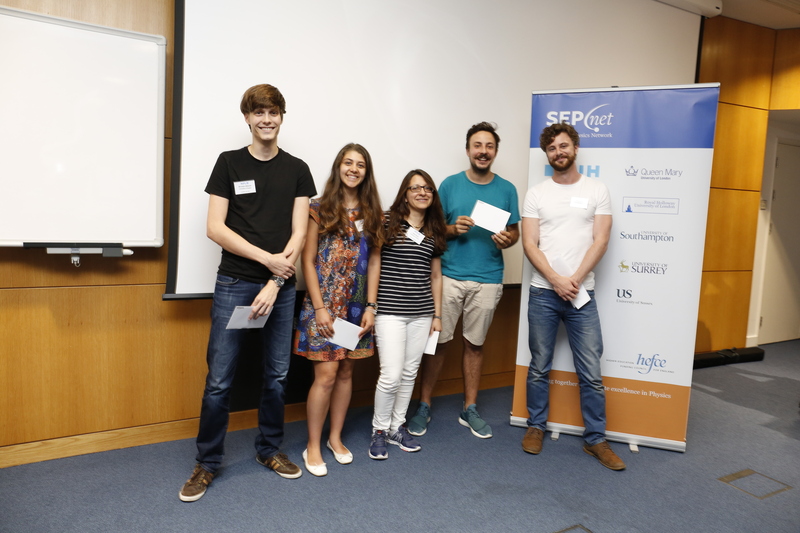 “This has been a very good summer school, pitched at the appropriate level and a good base to meet fellow students!”. Team 1: William Evans, University of Sussex, Timothy Eales, University of Surrey, Tong Liu, Queen Mary University of London and Erika Cortese, University of Southampton with Michael Roberts, Research and Collaboration Manager, Centre for Integrated Photonics (Huawei). 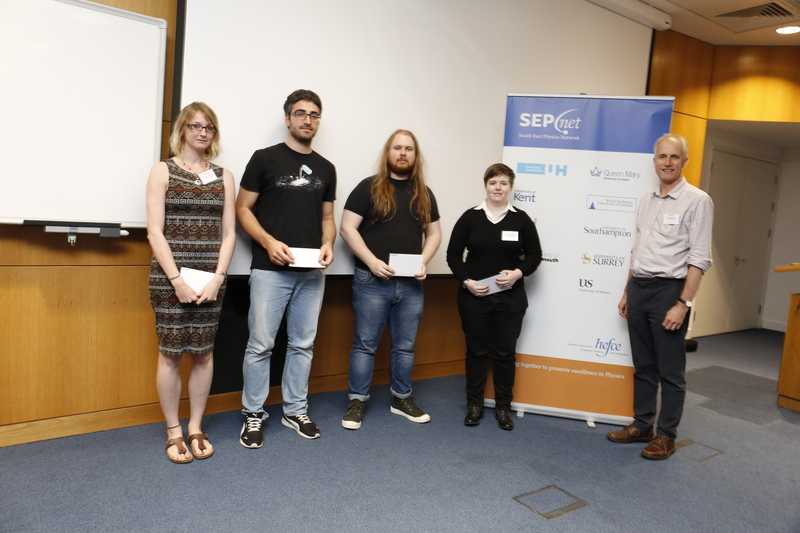 Team 2: Miroslav Mlejnek, University of Sussex, Katie Ley, Laila Gurgi, University of Surrey and Giulio Violino, University of Hertfordshire with Tom Harle, Chief Technology Officer, Fourth State Medicine. 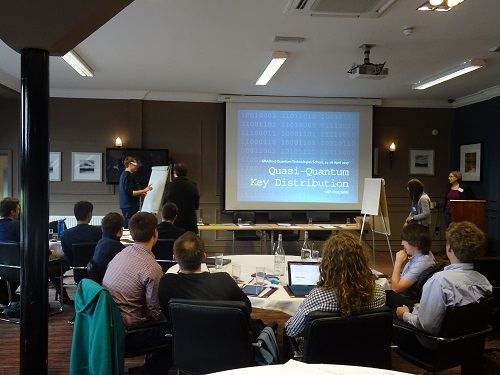 Team 3: Joseph Allen, University of Surrey, Sam Rowley, James Richings and Azaria Coupe, University of Southampton. People’s Choice: Nicola Abraham, University of Sussex, Filippo Contenta, Tom Coates, University of Surrey and Kerri Loughney, St Mary’s Twickenham with Peter Shaw, Surrey Satellite Technology Limited. 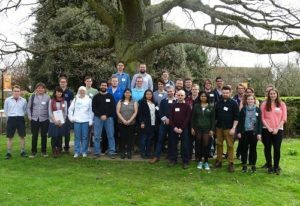 Planetary Science School a great success! 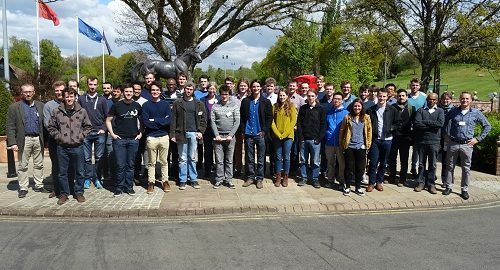 23 SEPnet PGRs attended the 2-day planetary science school at the National Physical Laboratory in Teddington, Middlesex. The school was led by senior researchers in the SEPnet region and comprised four sessions exploring different aspects of planetary science through a mix of lectures, seminars and tutorials. 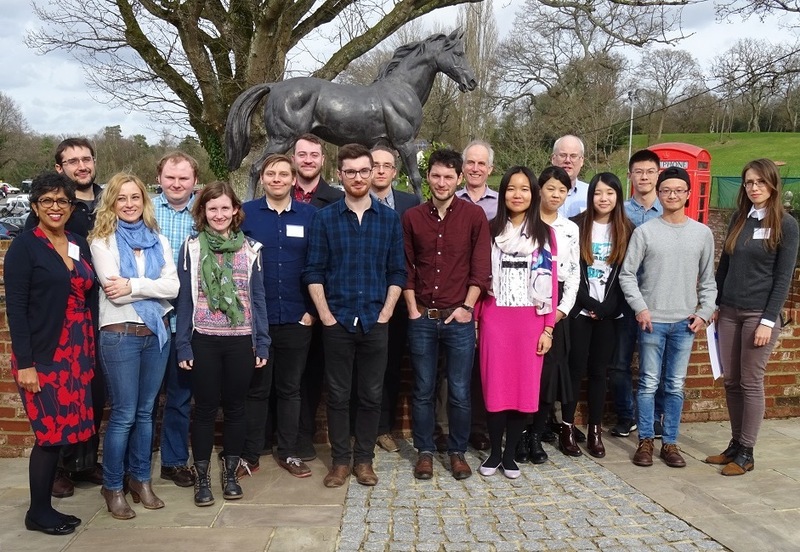 Thank you to the following contributors: Dr Susanne Schwenzer, Frances Butcher and Jack Wright , Open University; Dr Rob Fear and Dr Catriona Jackman, University of Southampton; Dr Simon Green and Dr Stephen Lowry, University of Kent and Dr Setnam Shemar and Dr Tian-Hong Loh, NPL. 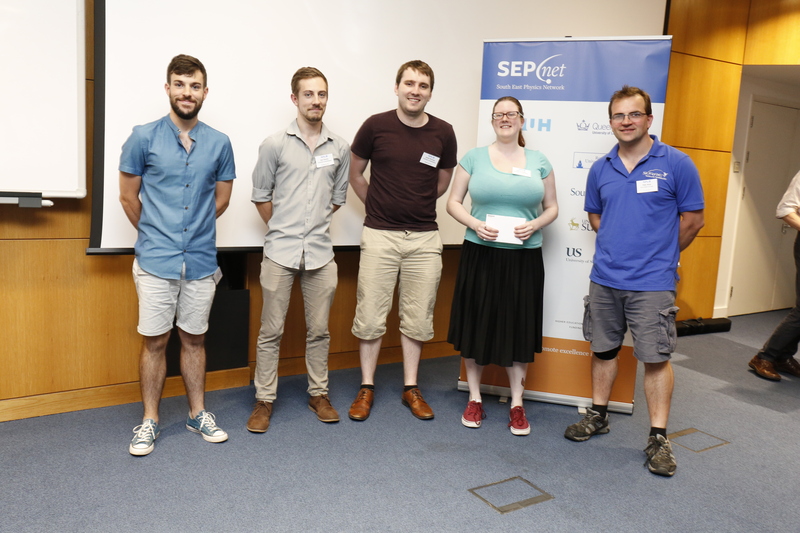 Joint winners of the poster competition were Paul Hallam, Queen Mary University of London: “Investigating the Depth of Gaps formed by Planets in Protoplanetary Discs” and Daniel Staab, Open University: “The Dispersed Matter Planet Project”. Both winners were awarded Amazon vouchers. 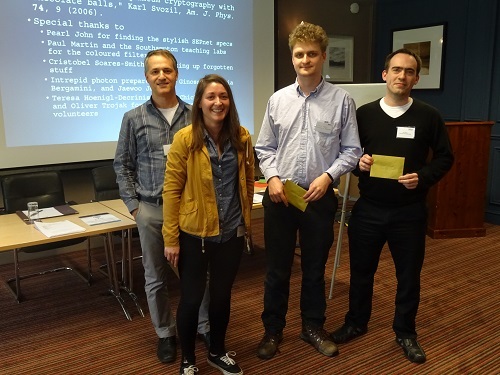 Chris Malliband, Open University , received a special mention for his poster: “1:3m Mapping of a quadrangle on Mercury”. 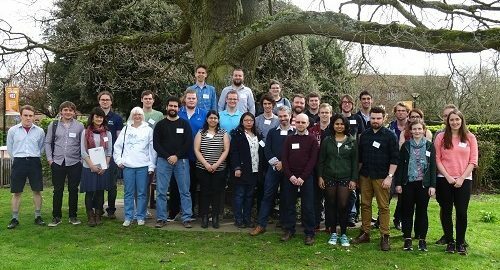 Overall feedback was very positive and one PGR said the school was a “very interesting intro to planetary science as a whole”. Thank you to NPL for hosting this event on behalf of GRADnet. 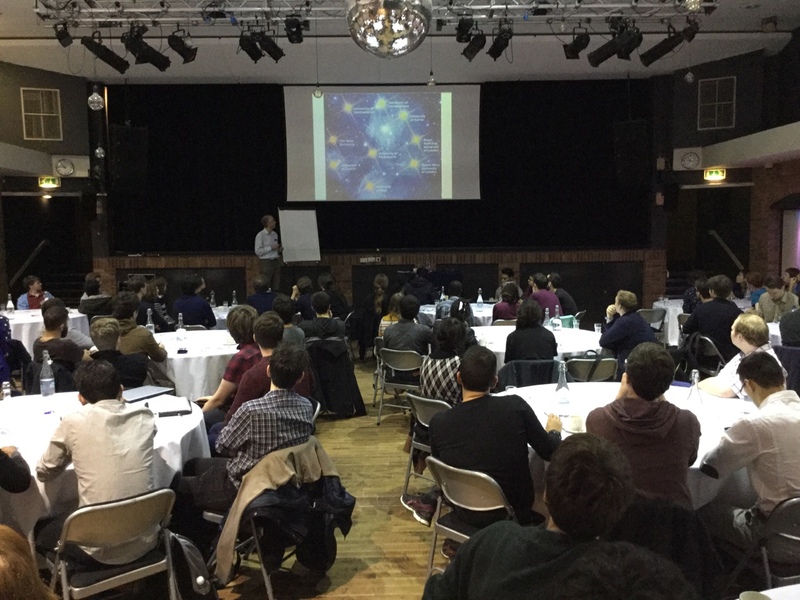 Michael Hubbard, a first year postgraduate researcher at the University of Surrey gives his perspective on the GRADnet Induction Day held on the 26 October 2016 at the Park Crescent Conference Centre in central London. 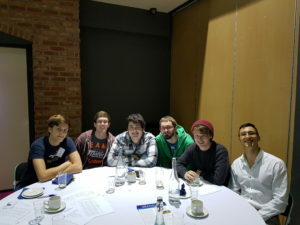 “The GRADnet induction day was an enjoyable day out of the office. The day presented a brilliant opportunity to meet new people, even from your own university; not to mention networking with old friends from our undergraduate years. The workshops I attended provided me with an insight into the world of getting a paper published and explored the world of MATLAB”.